Digital Music Summer Camp in White Plains, Westchester NY at The Digital Arts Experience. Spring & Summer options, no prior musical experience required. Do you love Minecraft? Do you spend so much time breaking and placing blocks that you wish you could do more with your favorite game? Well now you can! 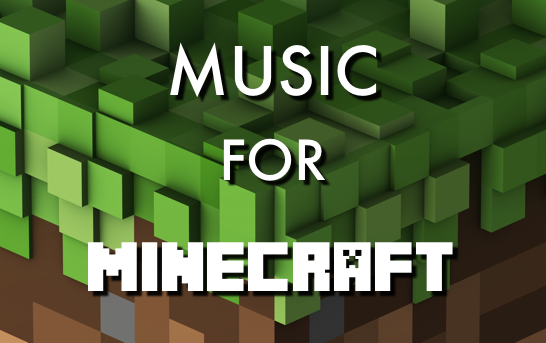 create a whole new sound for YOUR Minecraft and gaming experience! Come have fun and learn some cool tricks of how to enhance your gaming experience in this unique music program! Did you ever wish you could write a song like Taylor Swift? Justin Timberlake? Rhianna? Will.i.am? Katy Perry? Pharrell? Lorde? Eminem? One Direction? Miley Cyrus? Jay Z? Beyonce? Ariana Grande? Pink? Or any other of your favorite performing artists and bands? This summer, learn how to write like the pros WITH a professional producer/composer and songwriter! Get hands on experience writing in a professional music studio and learn how to create catchy memorable lyrics that you’ll have your friends singing along to like you’re the next number one artist on Billboard’s Top 100! Whether you are a singer, in a band, play a musical instrument, or are just curious how to create your own sound effects, this class is for you! Students will work in our professional Recording Studio and learn how to use the soundboard and software (GarageBand, Logic Pro X). You’ll create and record your own music and sounds, as well as learn how to edit & mix! Are you thinking of starting a degree or career in the music industry? Are you starting your music degree in the fall? If you want to get a jumpstart in learning professional music composition and production or you want to see if this is the degree or career for you then this is your program! Learn the basics on a college level and be conﬁdent when you walk into your major in the fall! Or, be conﬁdent that this is the career path for you! Work with a professional music composer, studio musician, arranger and producer that has and continues to work on hit television shows for major networks, blockbuster ﬁlms and with world renown composers and performing artists! You will work in The DAE’s state of the art music studio learning how to use Logic Pro to create professional songs and music compositions for ﬁlm, television, commercials and even video games!